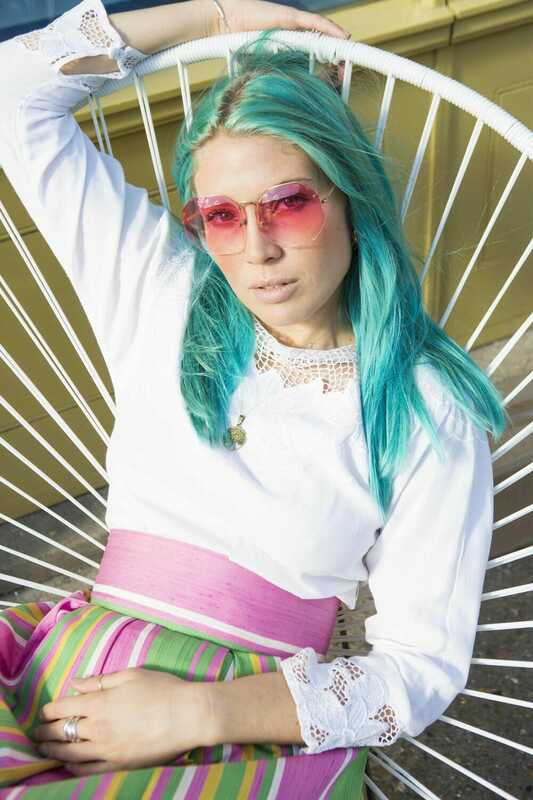 Lucid Stannard who calls Clapton in East London home has only been DJing for two and a half years and is already one of HedKandi’s official DJs and ambassadors, taking London by storm with her fresh approach to music. She’s innovative, fem-focused and intent on making you have fun. First name Lucy, she claims her stage name Lucid came from the cosmos. ‘A few years ago, I was sort of discovering the cosmic thing and described myself as lucid, plus, there are too many people called Lucy’. The ultimate iPod warrior at parties, Lucy first hit the decks at a friend’s birthday back in 2016. 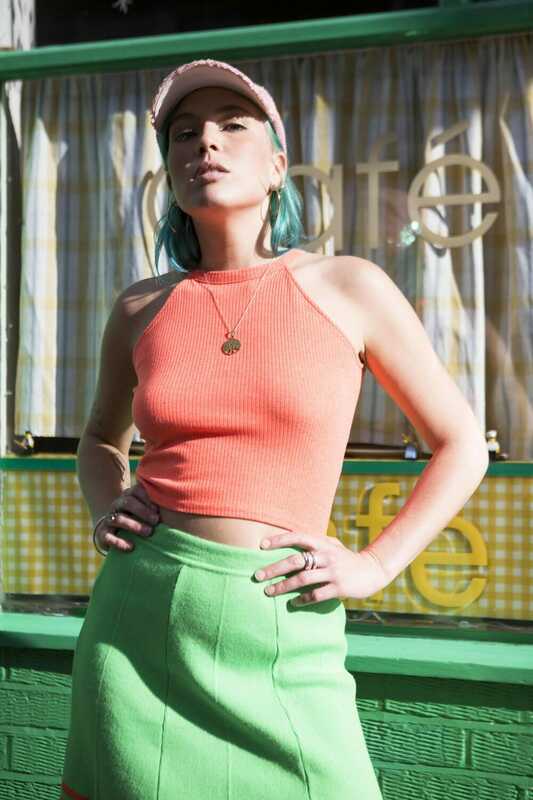 One month later she was playing at a party for watch label Baby-G, then Secret Garden Party and now she has her own radio show on East London’s Netil Radio. Lucy is getting her music out there, and we’re all listening. Together with events giant Petra Kluk (Soundcrash Music, and Gottwood), she created Womb 2, a monthly celebration of women held monthly at Number 90 Bar and Kitchen, with some of the best DJs and live acts around and an established headliner finishing off every event. Previous acts include Walthamstow local songstress Jesuton, who found fame busking on the streets of Rio, and BBZ, the duo responsible for redefining the London gay music scene with some of the best-dressed crowds around. Head down on July 1st for a heap of talent including Coco Cole who has graced the decks in the legendary Pacha, Ibiza, more than 30 times. Womb 2 is an all-inclusive showcase for the talented women among us, with Lucid as the resident DJ and they’ll be taking over a stage at Noisily festival in Leicestershire, at the beginning of July. If you’re looking for the opportunity to dance, dance, dance this Saturday (16th June) – this is it. Trying to balance the number of festivals, away and home gigs with spending time with friends and loved ones.. hopefully being able to do both at the same time! What is the best gig or event you’ve played to date? I have been lucky to play so many fun parties and events. Before I started I was already in a circle of promoters and DJs who helped me hugely. I think festivals are always fun and it’s so nice to join in afterward. I just got back from playing at Virgo and Gottwood which were magical, and I played my first gig in Ibiza a few weeks ago which was amazing fun too. What DJs do you love? I have a lot of respect for my DJ friends actually. It’s so nice to feel like we are all rising up together. I think Nadia Ksaiba is great, Earthboogie are fantastic, Michelle Manetti is an amazing DJ too. In terms of others, I love Andrew Weatherall, he is a wizard. Hunnee is straight up happiness, the Black Madonna is so inspiring on so many levels – her set at Gottwood last year is the best I’ve ever seen. Lucid will be DJ-ing at The Queen of Hoxton this Saturday 16th June. Catch the Womb 2 team next at the Daytime Summer Terrace Party on July 1 at Number 90 Bar and Kitchen.